YIKES - How to Treat a Curling Iron Burn - Do This ASAP!! It’s a good idea to know how to treat a curling iron burn before it happens so you can be prepared. If not handled correctly, a curling iron burn can leave an unsightly scar, and may even damage severely damage your skin. Curling irons are incredible tools for styling your hair, from casual to formal, but they can also be dangerous if you’re not careful. 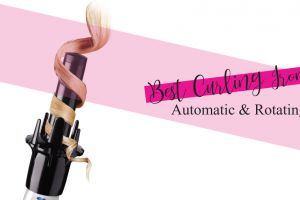 This guide will walk you through some helpful tips to ensure that you know what to do if you ever accidentally burn yourself with your curling iron. It’s common to get a curling iron burn on your neck or face because they’re close to where you use your curling iron. Unfortunately, these areas are extremely sensitive and have thin, fragile skin that can make burns very painful and damaging. Whether you got a curling iron burn on face, head, neck, or shoulder doesn’t matter, though, because you’ll need to treat a burn the same way. Your first step is to grab a cold compress and place it over the burn. A cold washcloth or towel works excellent in a pinch, but if you have an ice pack handy, you can use it covered in a few layers of paper towels or a thick washcloth to prevent a cold burn on your skin. The cold will literally cool down your burn, which may prevent it from becoming a more serious second-degree burn that moves further into the layers of your skin. Keep the compress on your burn for several minutes until you start feeling some relief. You can check to make sure you kept it in place long enough by carefully touching the burn with clean fingers to see if it’s hot to the touch. If it is, then place the cold compress back on the wound for a few more minutes. You’ve now stopped the burn from becoming a more severe burn, so now you’ll need to know how to treat an iron burn to help it heal. Curling iron burn treatment is necessary to help the skin repair itself to prevent scarring and further damage. You’ll need to reduce inflammation as soon as possible. Inflammation happens in response to your injury, but it can also throw your immune system out of whack and cause infection. Check your medicine cabinet for an antibacterial first-aid ointment or some aloe vera gel, both of which can reduce inflammation on and around your burn and spark healing. Be sure to wash your hands thoroughly before you apply anything to your burn. Your curling iron burn left your skin open and extremely sensitive and at high risk for infection. If you can’t find any aloe vera or antibacterial ointment, then you can dab a little bit of honey on your skin, which may help heal minor burns. The next step in learning how to treat an iron burn is to understand the importance of covering the wound to let it heal. Your burned skin is susceptible and will likely need to stay covered for a few days until the skin starts to heal and not look as raw. Once you’ve applied aloe vera or first-aid cream to the area, use a sterile bandage or gauze to cover the burn completely. You should choose a dressing that’s larger than the wound to ensure that no adhesive gets stuck to any part of the burn. Burns may become itchy during the healing process, but this is normal. It’s crucial to remember that you shouldn’t scratch your burn, even when you have a bandage over it. Scratching can harm the new skin that forms and may cause further irritation, and even infection, at the burn site. Keep your bandage on for a day to prevent any dirt or bacteria from entering your healing wound and ensuring that you don’t harm the area. It’s common for a burn from your curling iron to be painful for up to a few days after it happened, especially if it was a severe burn. Much of the pain you feel from your burn comes from your body’s inflammatory response to the burn. If you used an anti-inflammatory cream as we suggested in step two, then you should start feeling some relief within a few hours after you’ve treated the burn. However, some of that pain may linger as your body works to repair your skin and treat the burn on its own. In this case, you can use an over-the-counter pain reliever. Ibuprofen is an excellent choice because, in addition to its pain-relieving abilities, it also has anti-inflammatory properties that can calm your body’s response and relieve some discomfort. If nothing seems to be taking away the pain, then it might be time to call your doctor to have him or her check out the burn and make sure it’s not more severe than you thought. Leaving your bandage on for the first 24 hours after your burn occurred is a good idea, because this is when your body is working its hardest to heal your wound. At this stage, your skin is still raw and very susceptible to bacteria and infection. If you notice blistering, charred skin, or any sign of infection, you should consult with your doctor about the next steps. After you take off your bandage, be sure to avoid peeling off any skin that’s peeling. Your body will shed the skin when it’s ready. Peeling it off too early can result in more pain and infection. Until new skin has formed over your burn entirely, you should continue bandaging the area. Apply your first-aid cream before you apply a new bandage and re-bandage the area daily until you see a new skin layer over the burn. Once you’re able to keep your bandage off, you should keep your burn hydrated. Hydration is critical to prevent scarring where your injury is. 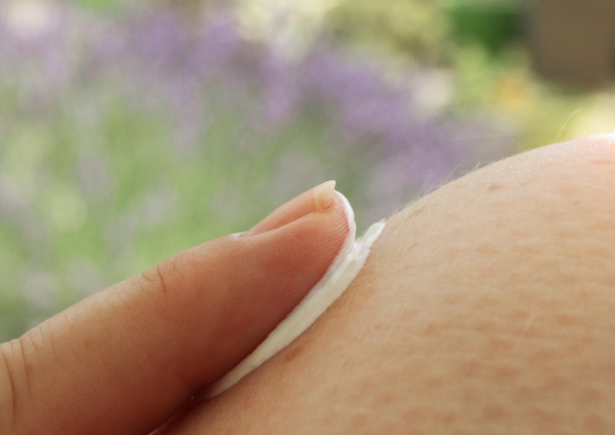 You should only begin using lotion once your new skin has formed on your burn entirely. If you see any raw skin, or if your skin is still peeling on or near your burn, then continue bandaging the area until the burn heals. Use a hypoallergenic lotion free from dyes and fragrances. Apply a small amount on and around the burn three or four times per day. You should continue moisturizing the burn until it has completely healed, and the skin looks the same as your skin around the burn area. Even when you follow the proper steps to treat a curling iron burn, there’s still a possibility that you end up with a scar. A scar isn’t necessarily a sign of any trouble, but it can leave an unsightly mark that stands out on your face or neck. Some scars may fade over time but will never go away completely. Others may fade to the point of being barely noticeable. To treat your scar, you can exfoliate your skin on and around the burn site a few times per week. By doing so, you’ll remove top layers of dead skin cells and allow the skin underneath to come to the surface, which could fade your scar over time. 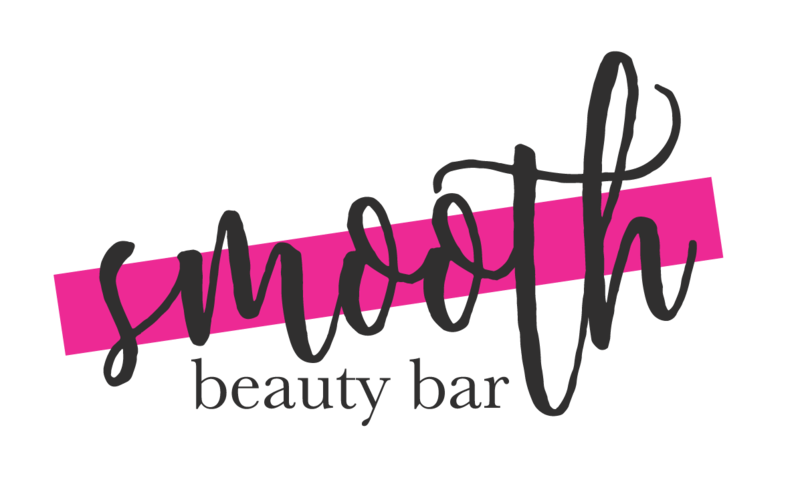 Avoid using exfoliation scrubs, which can damage your already-sensitive burn area. Instead, opt for a gentle massage glove to give yourself an exfoliating massage to stimulate skin growth underneath the top layers of skin. 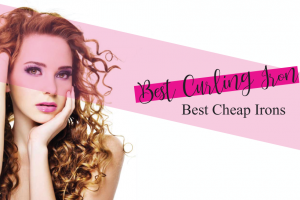 Now you know how to treat a curling iron burn, but how can you protect it from further damage? Once your burn has healed, you’ll still need to take some precaution. Keeping your scar safe in the sun is one of the best ways to prevent any more damage. Use a gentle sunscreen to apply on your burn and around the area. If your wound is on your face, neck, or another area that’s exposed to sun outside, then you may want to consider wearing a hat or clothing that will cover the burn from direct sun. When you use a curling iron, you should always prepare yourself for the possibility of a burn. They’re common with this type of tool, so having a cold compress and first-aid cream ready can help you treat a burn quickly if it happens. Calm inflammation with a cold compress and first-aid cream, and keep the area bandaged and hydrated to prevent infection and scarring. Now that you know how to treat a curling iron burn, you should feel more prepared to handle it if one does occur.